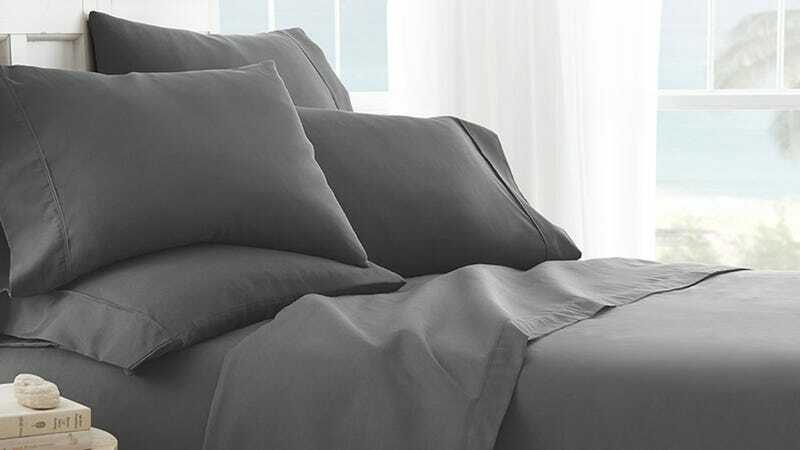 The iEnjoy Home 6-Piece Sheet Set is made from hypoallergenic and antimicrobial double-brushed microfiber for a soft, comfortable sleeping experience - even if you have allergies or sensitive skin. You can pick up a complete set today in any size you need for as little as $28, 70% off their normal price. Full details here.